after | Where is @rusnivek? I was finishing up my AARs and found a picture from the last night of the Republican National Convention (RNC). Quick tip for you PIOs doing field reporting: Frame your shot. Cleveland Police Chief Calvin Williams doing an interview with Time Magazine. Obvious chalked roadway with profane statement behind him. Videographer is recording at an upward angle to frame his subject. During the RNC, we found that it was critical to frame the shot. Onscene shots were particularly tough because so many activist groups had signs, chalked, or painted words that are inappropriate for pictures or even worse yet, uncontrolled live broadcast hits (Periscope or FacebookLive or YouTubeLive). Additionally, live outdoor broadcasts from the scene are challenging because it is difficult to control the natural and man-made variables. So as PIOs we need to reduce any signs, ropes, wires, etc….that could affect your framed shot. Trust me, reduce the amount of variables to a bare minimum. 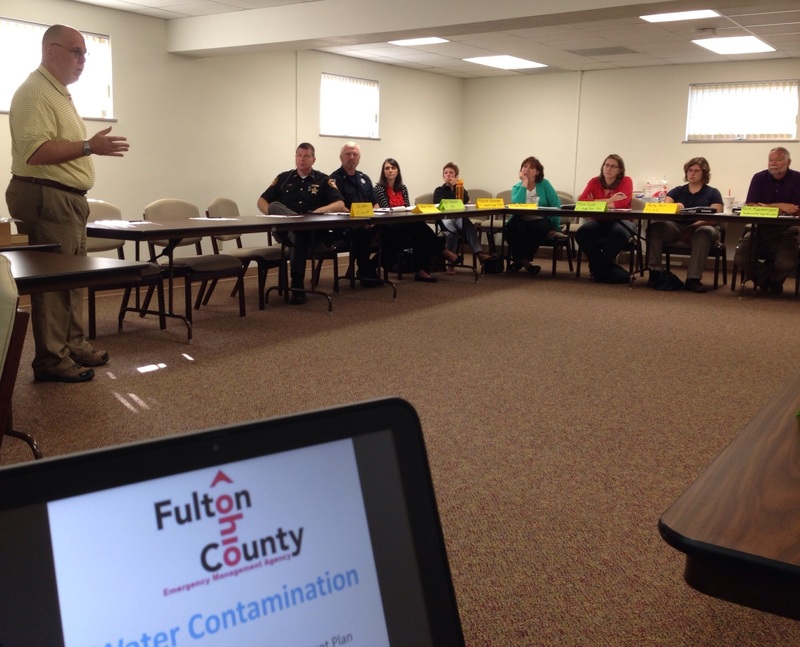 I’m facilitating the After-Action-Review / Improvement Plan for Fulton County from the Toledo Water Contamination. Lots of discussion from this all-hazards group of pros. 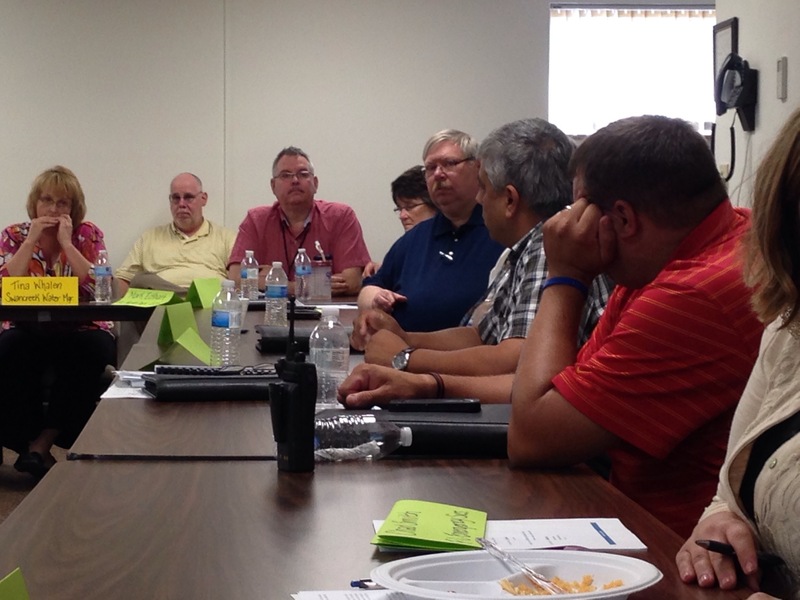 Good Emergency Management discussions today! Most importantly, glad to see lots of engagement from everyone here. Tsunami warning? 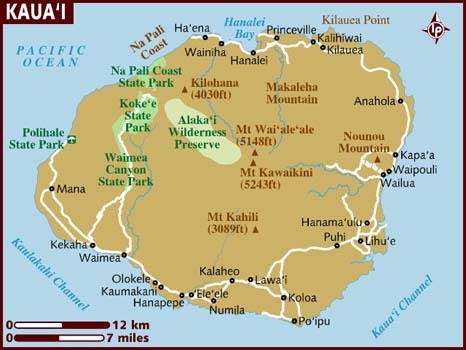 Are you on Kauai? To begin preparing, you should build an emergency preparedness kit and make a family communications plan.